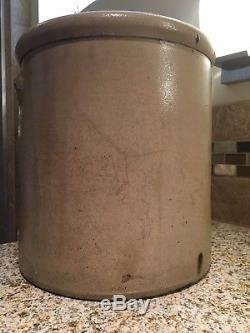 4 Gallon Antique Red Wing Crock. Golden tan salt glazed exterior. Brown Albany slip glazed interior. 11 inches across x 12 inches tall. 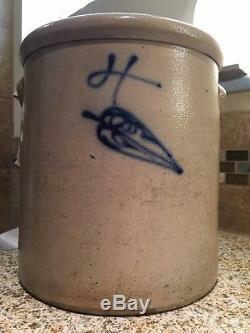 The item "ANTIQUE 4 GAL RED WING SALT GLAZE STONEWARE CROCK COBALT BEE STING DESIGN" is in sale since Friday, October 5, 2018. This item is in the category "Antiques\Decorative Arts\Ceramics & Porcelain\Crocks". 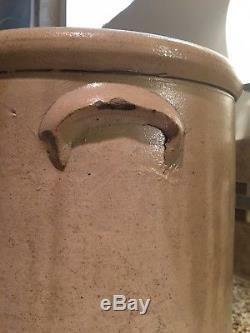 The seller is "nagr230" and is located in Minneapolis, Minnesota. This item can't be shipped, the buyer must pick up the item.